To find your perfect luxury Peru holiday call our Travel Specialists on 020 546 6222. Alternatively, simply complete the enquiry form to get in touch. 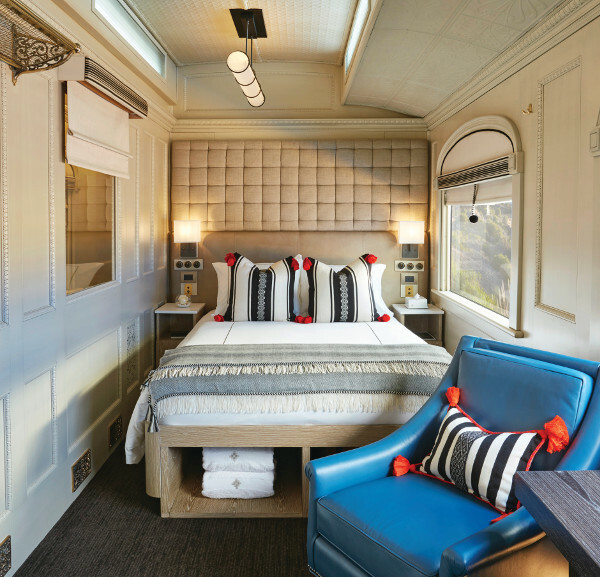 The Belmond Andean Explorer is an overnight sleeper train that began operating between Arequipa, Lake Titicaca and Cusco in 2017. The Andean Explorer route from Cusco to Puno is called “The Spirit of The Water” as a metaphor to its final destination - Lake Titicaca. The journey includes lots of different surprises, such as a 'prior to boarding' dance performance given by an Andean Huayno dance group and a champagne treat reception. The train has the capacity for 48 travellers and includes 16 carriages. The interior décor is beautifully inspired by traditional Incan colours as well as by the overall heritage of the region. Other highlights of this luxurious experience include small details such as; staff greeting each traveller by name and attend to their needs including Pisco sour - a refreshing Peruvian cocktail of Pisco liquor, lime juice, egg white, syrup and Angostura bitters. The Hiram Bingham train takes you to the Inca citadel Machu Picchu. Named after the explorer who discovered Machu Picchu, this luxurious experience combines glamour with history and elegance with tradition. As you board the 1920's style carriages you will begin to feel transported into a different time; a time where polished woods, brass, fine fabrics, and antique fittings bring back a long lost old-fashioned charm. On board the Hiram Bingham, you will not only feel like a royal, you will also eat like one. Indulge as much as you can on the several artisanal delights as you go from brunch to lunch or dinner. You may be headed to the 'Lost City', but while on board nothing's lost, everything is a new discovery. 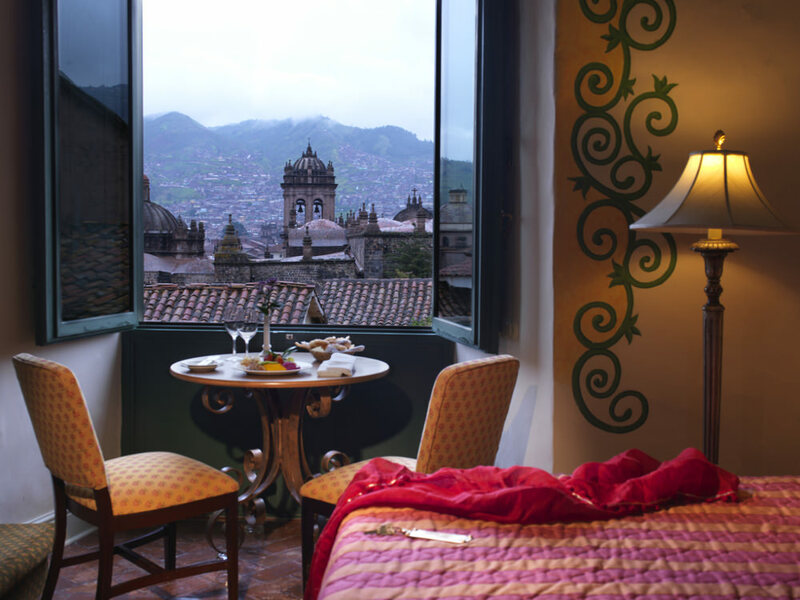 Colonial architecture, superb museums (with Inca gold and Pre-Columbian antiquities), glamorous shops, bars and restaurants, all of which only a few minutes away from this beautiful 5* hotel. 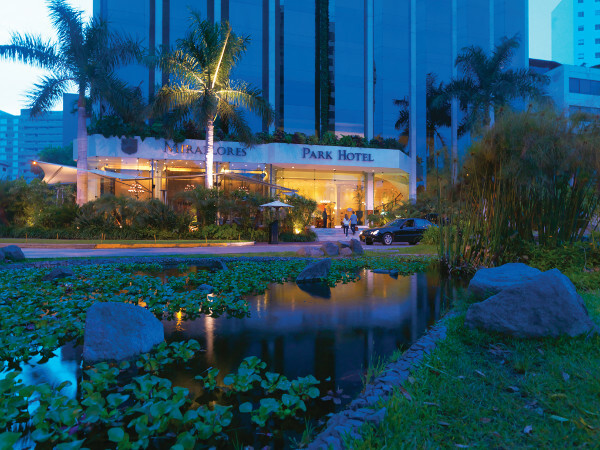 Located in Lima's most fashionable areas, this hotel, is surrounded by all that is great about Peru's capital city. As one of the best luxury hotels in Lima (Peru), the hotel itself combines personalised service, exceptional dining and indulgent facilities that create the perfect base from which you can explore the city. It features a glorious rooftop pool and spa area, and the rooms are bright, fresh, and comfortable. As one of the few accommodations in the city that offer breath-taking views (over the ocean), this accommodation has all the ingredients to provide you with one of the most luxurious experiences in Peru. Located right beside Cusco's central square, the Belmond Hotel Monasterio is a former monastery and national monument dating back to 1592. It is a retreat that combines unique history and centuries-old charm, with fantastic and luxurious service, restaurants, boutique rooms and suites, all of which set around a tranquil central courtyard. The hotel's historic heritage is so great that very little was allowed to be altered when renovating the premises. The result is a beautifully refurbished piece of history brought to a new light. Here you will surely lose yourself in the beauty of the hotel's artworks, antiques as well as its own church. Even though the building looks pretty historic, the comfort you will feel here is the kind of comfort you could only find in a 5* luxury hotel - including exquisite king-size beds, flat-screen TV, or even private bathrooms with L’Occitane amenities. The hotel also features a great bar area with even more original artworks, as well as two restaurants serving delicious cuisine, as well as a spa with a comprehensive range of treatments. History and luxury all in one? You certainly won't find it everywhere. 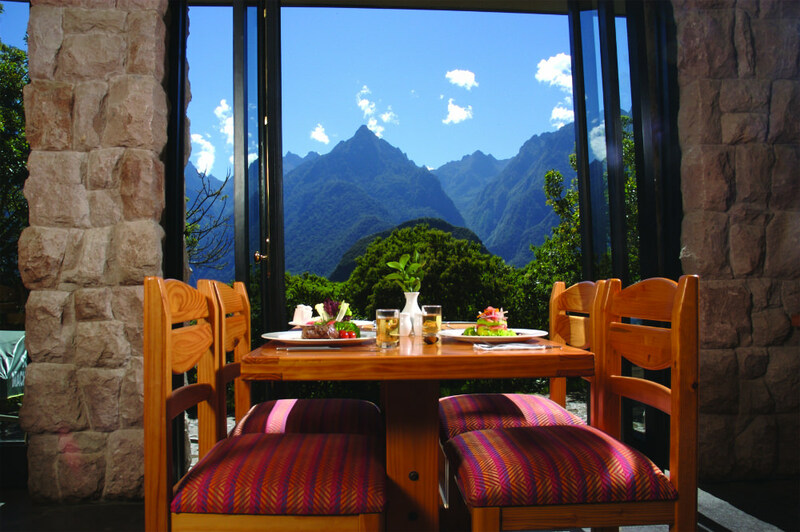 The Belmond Sanctuary Lodge is primely located just a few steps away from the entrance of the Inca citadel of Machu Picchu. Picture yourself waking up surrounded by gardens that boast stunning views over the nearby jungle-covered mountains and the valley below. But not only the surroundings elevate themselves to a new standard of beauty, the hotel's guest rooms are decorated with crisp light linens and dark woods, and each room features all the facilities you deserve when booking first class - King Size Beds, Marble Bathrooms, LCD Television and mini bar. You can also upgrade to a Deluxe Mountain View & Terrace Room where you will wake up to the most fabulous views of the valley. When hungry you can head to the hotel's restaurants where delicious Peruvian cuisine is being served to guest and all ingredients are local and fresh. The hotel has many other great services and facilities such as bar area, a wide range of massages, aromatherapy treatments based on ancient Inca techniques. Built in natural materials to resemble an authentic Andean village, the Belmond Rio Sagrado hotel is beautifully located on the banks of the Urubamba River, among a natural paradise of green fields and tall proud mountains. Located at a lower altitude than its neighbour Cusco, this hotel offers the perfect climate to adjust yourself to this part of the world. From here you can easily explore Sacred Valley and Machu Picchu as the hotel is the only one around ere that has its own strop on the train to Machu Picchu. If you agree that luxury is in the detail, you'll definitely love this added bonus. Another highlight of this luxury hotel in Peru is the fantastic view anyone gets from their room, as these come with a terrace overlooking the gardens and river beyond. The hotel features a lovely heated pool where you can relax after a day exploring, as well as a restaurant and bar area where you can recharge your energy with tasty Peruvian cuisine. 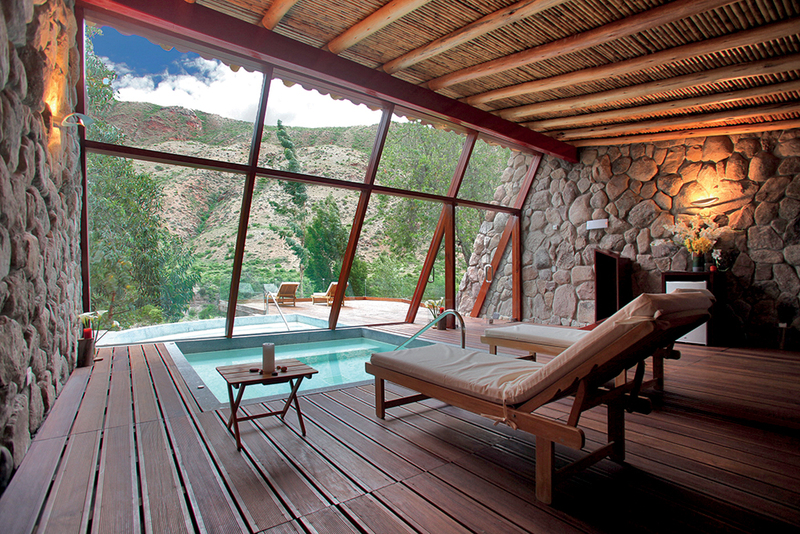 When coming to Sacred Valley, this will be your perfect, sacred retreat. The Belmond Las Casitas is located on beautiful canyon treks and is a luxury hotel in Peru that blends perfectly with its surroundings. It features a presidential villa and 19 cottage villas, plus an outdoor heated swimming pool, day spa, vegetable garden and onsite farm. The hotel’s luxurious villas also include either garden or valley views, as well marble bathrooms with indoor and outdoor showers. As the only luxury ultimate hotel in Colca Canyon Hotel, here you can experience complete and utter relaxation with activities such as riding Peruvian Paso horses, keeping an eye on the sky as an Andean condor flies by, enjoying sunsets by the pool, or simply going for spa treatment. You can use the hotel's library and read books, or head back to your room and enjoy a moment for yourself meditating after a long day of exploring. Fly from the UK to Lima where you will be met by your guide and make your way to the Belmond Miraflores Park. Lima´s historical downtown, a World Heritage listed by UNESCO. The Belmond Miraflores Park occupies a beautiful garden location beside the Pacific Ocean and is one of the few hotels in the city that offers breath-taking views over the sea. You will then fly to Arequipa, where you will board the Belmond Andean Explorer. open plains and ‘big sky’ country of the Peruvian Altiplano. Valley of the Incas and other Inca sites in the region. Vilcanota River or Wilcamayu, as this Sacred river is called when passing through the valley. It is fed by numerous rivers which descend through adjoining valleys and gorges, and contains numerous archaeological remains and villages. The valley was appreciated by the Incas due to its special geographical and climatic qualities. It was one of the empire's main points for the extraction of natural wealth, and the best place for maize production in Peru. You will take your transfer back to Cusco airport, from there you will fly to Lima and home. Take in Peru's spectacular highlights in refined luxury. 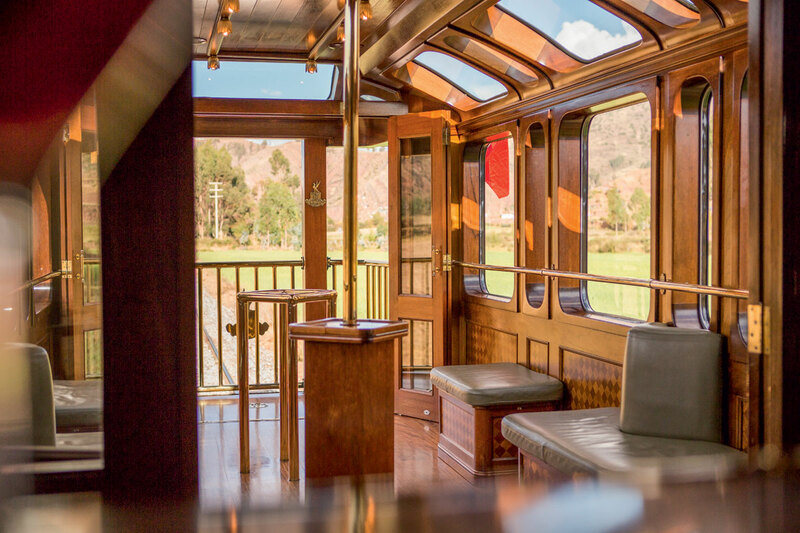 Staying in some of South America's finest hotels and enjoying a romantic ride through the high plains of the Andes aboard the Belmond Andean Explorer. The highlights include the white city of Arequipa; the achingly beautiful Colca Canyon. Lake Titicaca- the world's highest navigable lake. Lima the continents foremost gastronomic and cultural destination. Cusco - the former capital of the Inca empire and finally, Machu Picchu and the Sacred Valley. This 10-day itinerary allows you to travel in style and comfort with every detail carefully tailored to you and your own personal preferences. Each part of this carefully crafted itinerary will provide unique experiences and create treasured memories. 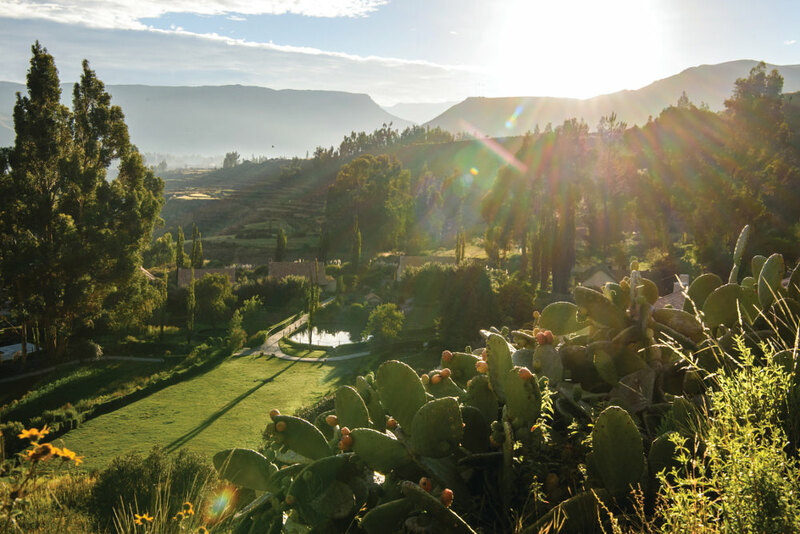 Why not add a stay at Belmond Las Casitas and see more of Colca Canyon? Or head into the heart of the Peruvian Amazon and enjoy a relaxing cruise along the famous river.